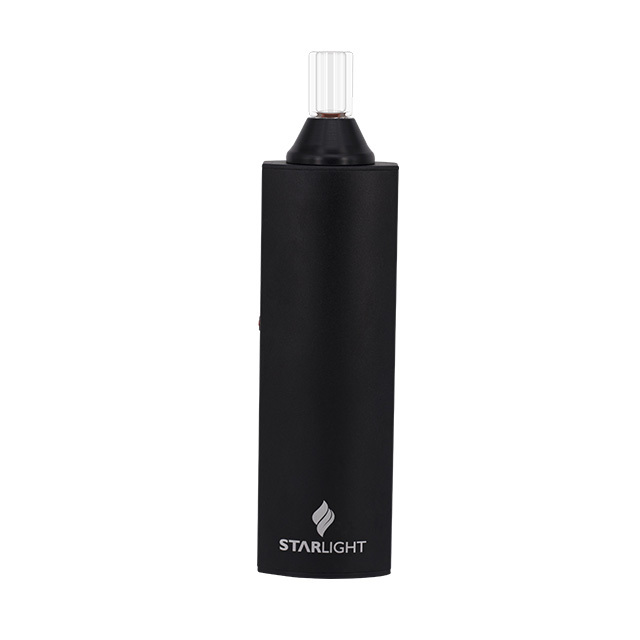 Starlight ll is premium vaporizer, special designed for dry herb only. 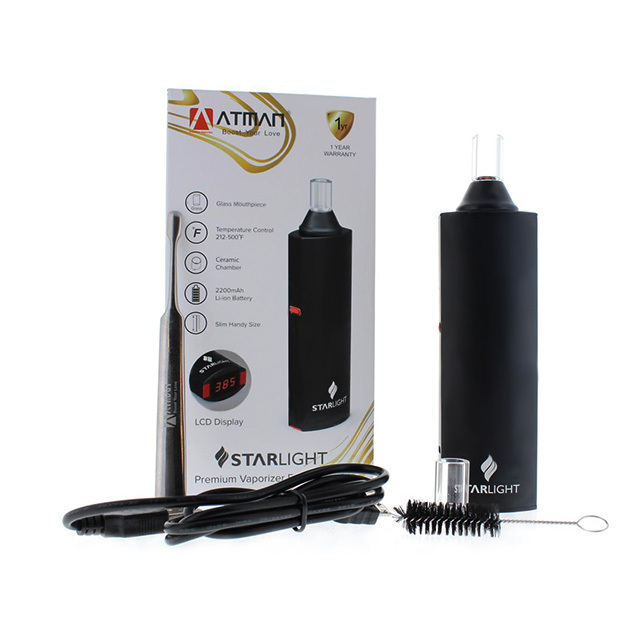 Starlight ll has a Stainless Steel heating chamber which is in FDA standard. 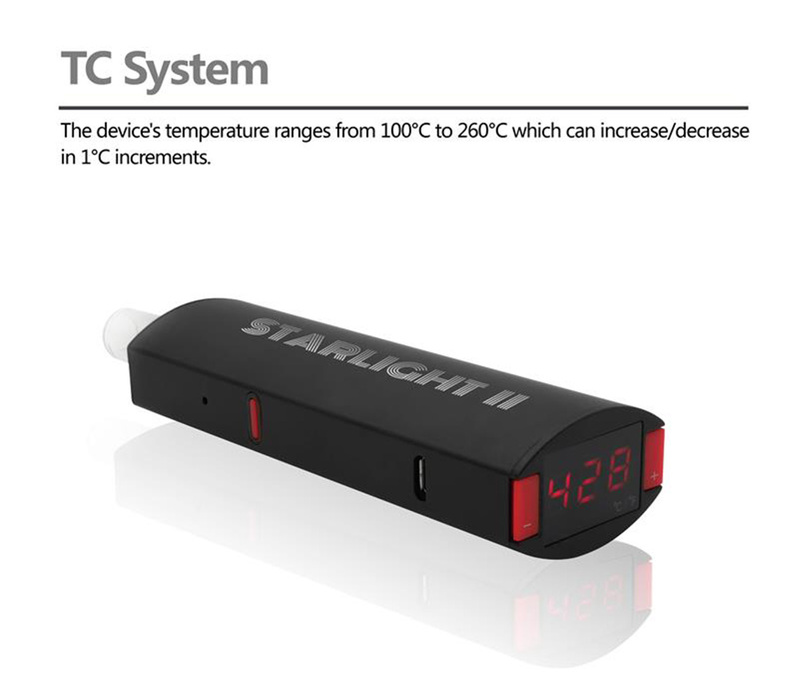 display and temperature control from 100- 260"C unlimited change. 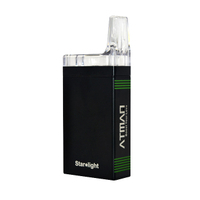 Starlight ll is premium vaporizer, special designed for dry herb only. 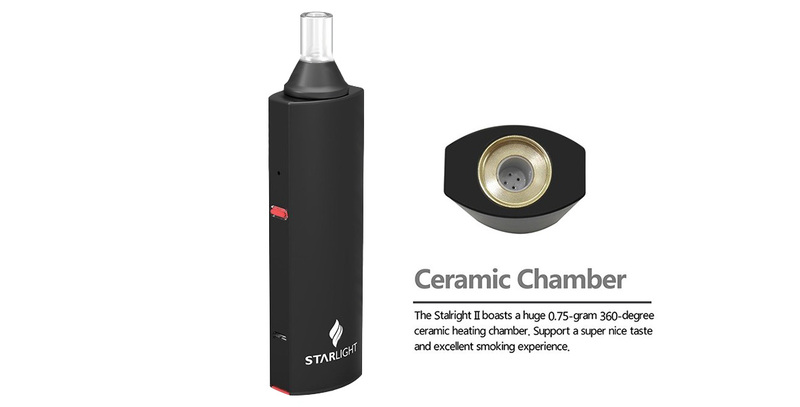 Starlight ll has a Stainless Steel heating chamber which is in FDA standard. 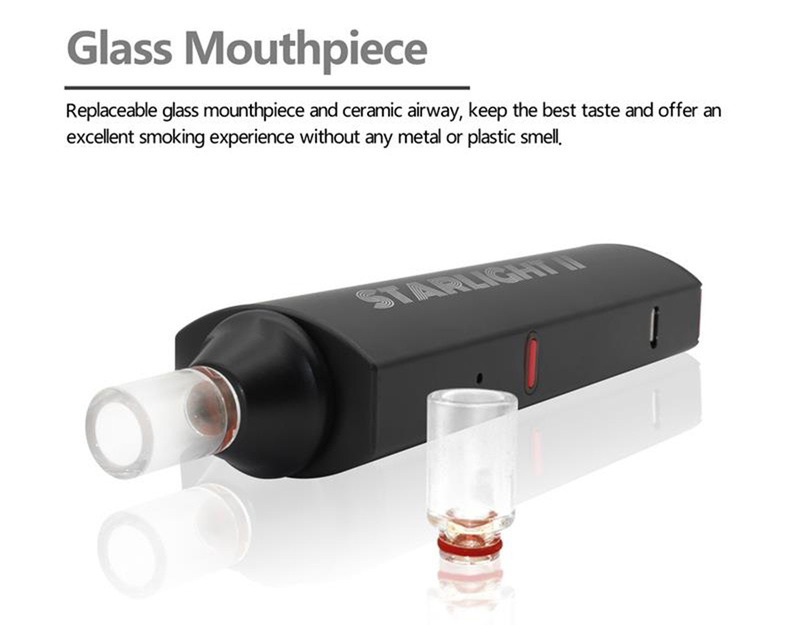 It makes the herbs in well-distributed heating. 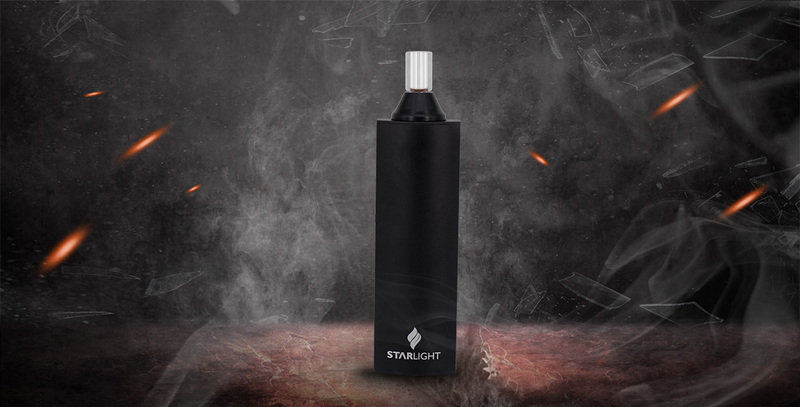 Starlight ll comes with smart LCD display and temperature control from 100-260"C unlimited change. 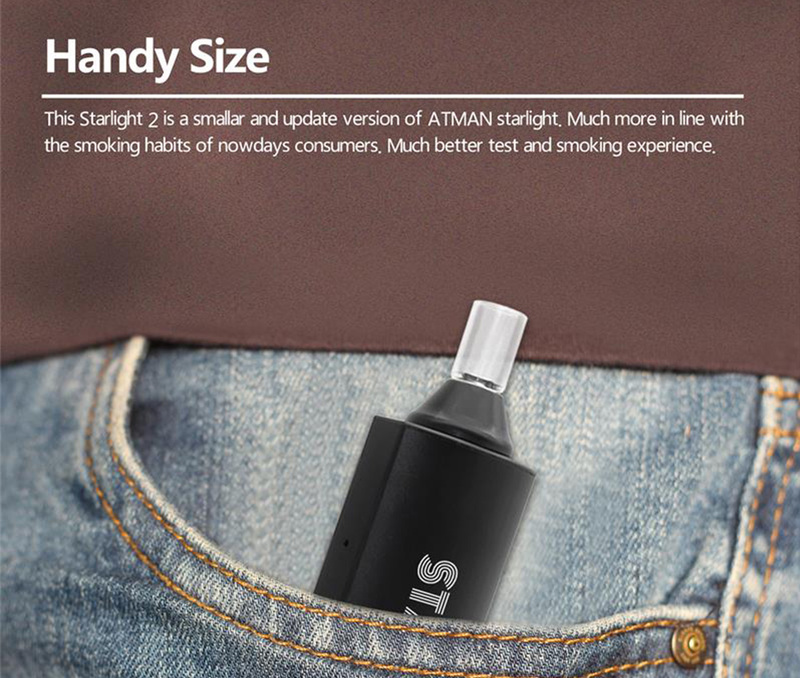 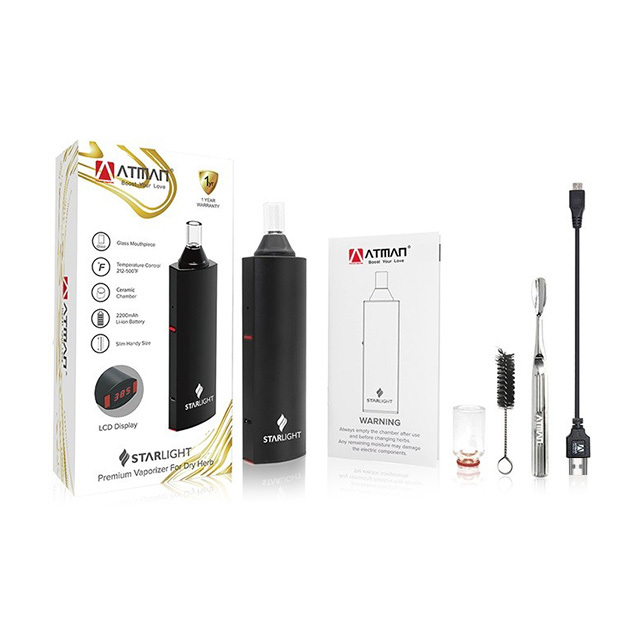 It will not release any harmful substances or unpleasant smells when heated, providing the best vaping experience. 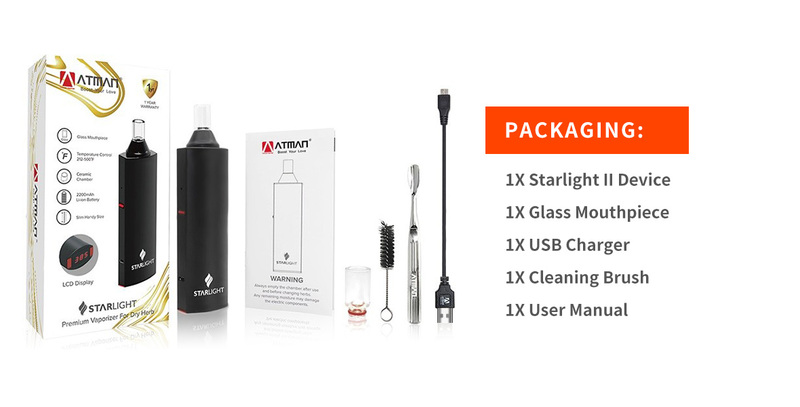 For safety reasons, please don’t use the starlight ll while charging it. 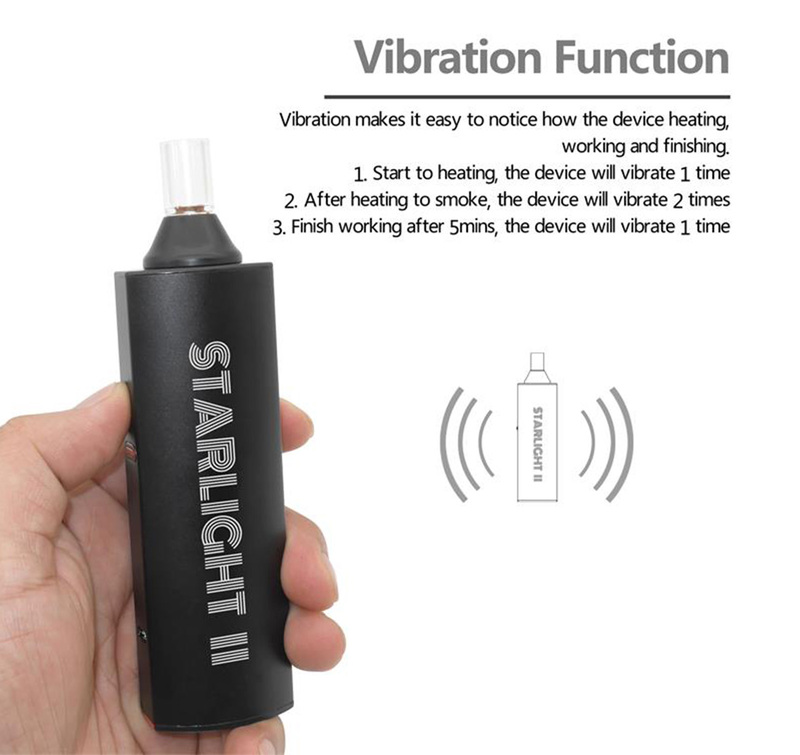 ●Turn on/off: 5 times clicks on the fire button in 2 seconds to turn on the device. 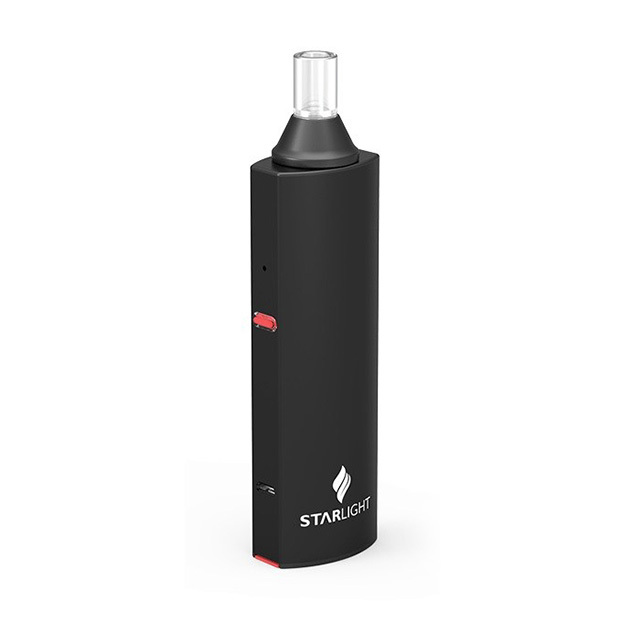 A) When the device is on standby, hold the fire button for 3 seconds to make it start to heat up, the device will vibrate once to indicate heating mode start.